The diet-free Quick Start Yoga for Weight Loss DVD with Suzanne Deason is designed to get you started with weight loss success. The workouts (DVD and audio CD) boost metabolism, shape lean muscle, and give you more energy. Features change-from-within bonus techniques to cultivate mind-body awareness that is necessary to make healthy, positive choices every day. Total run time: 50 minutes. Click to view Suzanne Deason’s entire DVD collection. Quick Start Yoga for Weight Loss DVD with Suzanne Deason. When losing weight, more physical activity increases the number of calories your body uses for energy or “burns off.” The burning of calories through physical activity, combined with reducing the number of calories you eat, creates a “calorie deficit” that results in weight loss. To maintain your weight: Work your way up to 150 minutes of moderate-intensity aerobic activity, 75 minutes of vigorous-intensity aerobic activity, or an equivalent mix of the two each week. Strong scientific evidence shows that physical activity can help you maintain your weight over time. However, the exact amount of physical activity needed to do this is not clear since it varies greatly from person to person. It’s possible that you may need to do more than the equivalent of 150 minutes of moderate-intensity activity a week to maintain your weight. To lose weight and keep it off: You will need a high amount of physical activity unless you also adjust your diet and reduce the amount of calories you’re eating and drinking. Getting to and staying at a healthy weight requires both regular physical activity and a healthy eating plan. Light yard work (raking/bagging leaves or using a lawn mower). How many calories are used in typical activities? Source: Adapted from Dietary Guidelines for Americans 2005, page 16, Table 4. 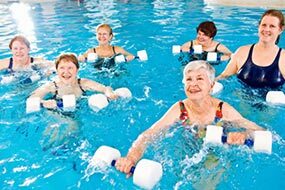 To help estimate the intensity of your physical activity, see Physical Activity for Everyone: Measuring Physical Activity Intensity. There’s a lot of talk about the different components of food. Whether you’re consuming carbohydrates, fats, or proteins all of them contain calories. If your diet focus is on any one of these alone, you’re missing the bigger picture. A calorie is defined as a unit of energy supplied by food. A calorie is a calorie regardless of its source. Whether you’re eating carbohydrates, fats, sugars, or proteins, all of them contain calories. “in balance.” You are eating roughly the same number of calories that your body is using. Your weight will remain stable. “in caloric excess.” You are eating more calories than your body is using. You will store these extra calories as fat and you’ll gain weight. “in caloric deficit.” You are eating fewer calories than you are using. Your body is pulling from its fat storage cells for energy, so your weight is decreasing. Am I in Caloric Balance? 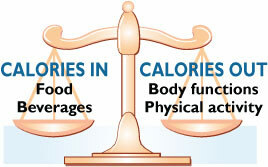 If you are maintaining your current body weight, you are in caloric balance. If you need to gain weight or to lose weight, you’ll need to tip the balance scale in one direction or another to achieve your goal. Want to try an interactive approach evaluate your food intake and physical activity? Go to the SuperTracker. 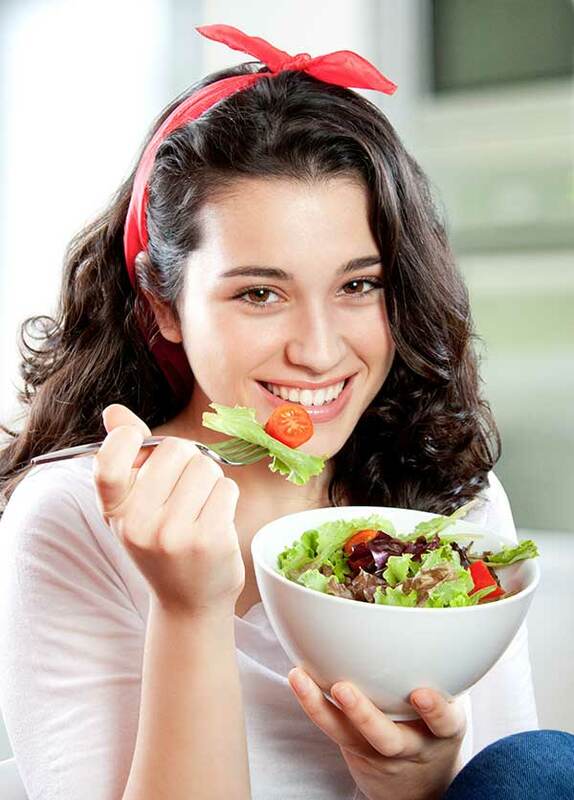 The site will give you a detailed assessment and analysis of your current eating and physical activity habits. Physical activities (both daily activities and exercise) help tip the balance scale by increasing the calories you expend each day. Increasing the intensity or the amount of time that you are physically active can have even greater health benefits and may be needed to control body weight. Encourage children and teenagers to be physically active for at least 60 minutes each day, or almost every day. For more detail, see How much physical activity do you need? The bottom line is… each person’s body is unique and may have different caloric needs. A healthy lifestyle requires balance, in the foods you eat, in the beverages you consume, in the way you carry out your daily activities, and in the amount of physical activity or exercise you include in your daily routine. While counting calories is not necessary, it may help you in the beginning to gain an awareness of your eating habits as you strive to achieve energy balance. The ultimate test of balance is whether or not you are gaining, maintaining, or losing weight. A: Not always. Some fat-free and low-fat foods have extra sugars, which push the calorie amount right back up. The following list of foods and their reduced fat varieties will show you that just because a product is fat-free, it doesn’t mean that it is “calorie-free.” And, calories do count! 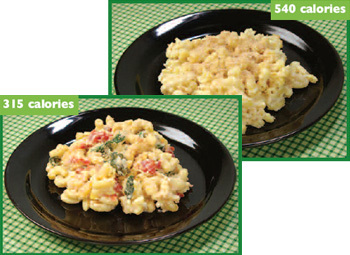 See FAT-Free Versus Calorie Comparison for more information. Always read the Nutrition Facts food label to find out the calorie content. Remember, this is the calorie content for one serving of the food item, so be sure and check the serving size. If you eat more than one serving, you’ll be eating more calories than is listed on the food label. For more information about the Nutrition Facts food label, visit How to Understand and Use the Nutrition Facts Food Label. Q: If I eat late at night, will these calories automatically turn into body fat? A: The time of day isn’t what affects how your body uses calories. It’s the overall number of calories you eat and the calories you burn over the course of 24 hours that affects your weight. Q: I’ve heard it is more important to worry about carbohydrates than calories. Is this true? A: By focusing only on carbohydrates, you can still eat too many calories. Also, if you drastically reduce the variety of foods in your diet, you could end up sacrificing vital nutrients and not be able to sustain the diet over time. A: While physical activity is a vital part of weight control, so is controlling the number of calories you eat. If you consume more calories than you use through normal daily activities and physical activity, you will still gain weight. Q. What other factors contribute to overweight and obesity? Fresh fruits ― don’t think just apples or bananas. All fresh fruits are great choices. Be sure to try some “exotic” fruits, too. How about a mango? Or a juicy pineapple or kiwi fruit! When your favorite fresh fruits aren’t in season, try a frozen, canned, or dried variety of a fresh fruit you enjoy. One caution about canned fruits is that they may contain added sugars or syrups. Be sure and choose canned varieties of fruit packed in water or in their own juice. Fresh vegetables ― try something new. 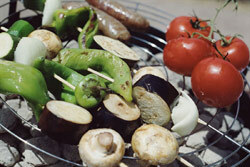 You may find that you love grilled vegetables or steamed vegetables with an herb you haven’t tried like rosemary. You can sauté (panfry) vegetables in a non-stick pan with a small amount of cooking spray. Or try frozen or canned vegetables for a quick side dish — just microwave and serve. When trying canned vegetables, look for vegetables without added salt, butter, or cream sauces. Commit to going to the produce department and trying a new vegetable each week. Calcium-rich foods ― you may automatically think of a glass of low-fat or fat-free milk when someone says “eat more dairy products.” But what about low-fat and fat-free yogurts without added sugars? These come in a wide variety of flavors and can be a great dessert substitute for those with a sweet tooth.